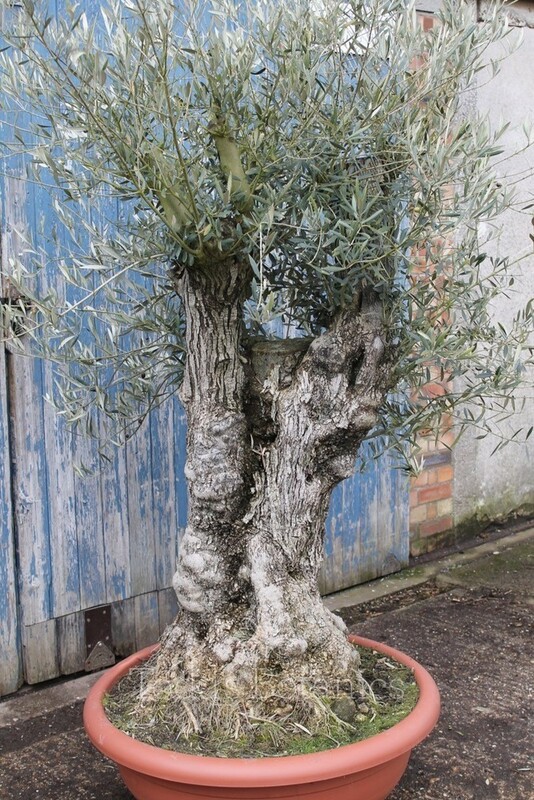 These are beautiful olive trees that we call 'bonsai' because they have had their roots and top growth pruned very hard to keep them small in stature. 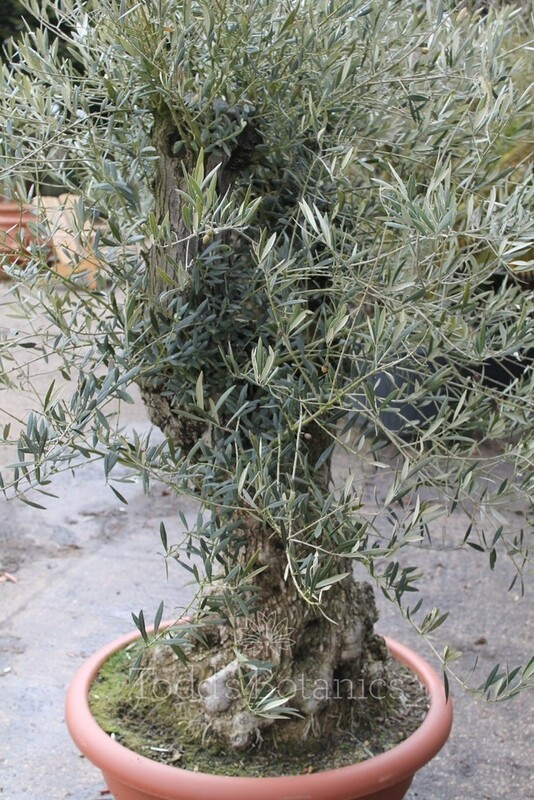 This method of pruning is not a problem for the olive tree, on the contrary; they love a good hard prune every other year to help promote growth, flowering and fruiting.This means it is possible to keep them in small shallow pots, so moving and lifting is a little more simple. 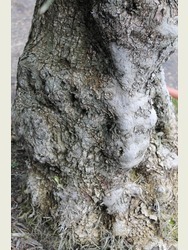 They can be transplanted into a raised bed or planter and there is a far smaller rootball to cope with. 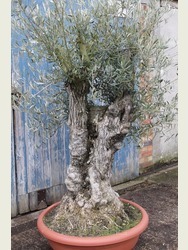 They are perfectly suited to an elevated planting position to fully appreciate their age and beauty. 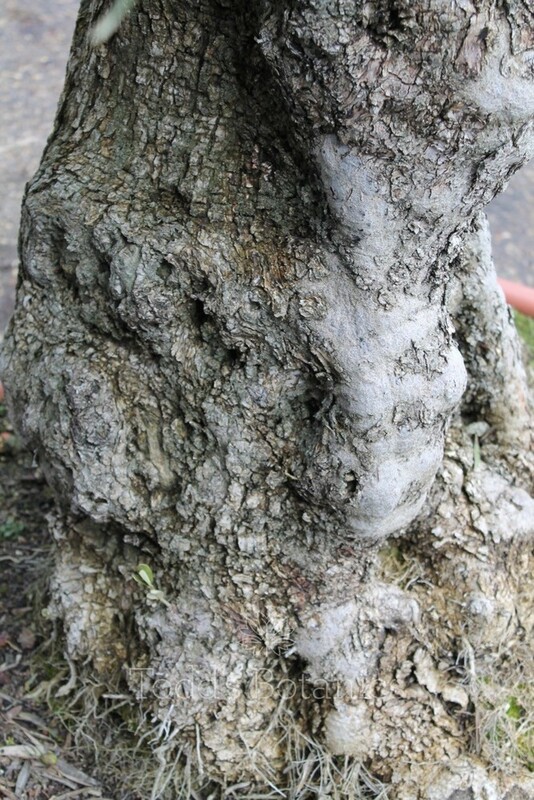 These are very special trees which have been hand selected by us to give you the best choice of old, sculptured and gnarled trunks. 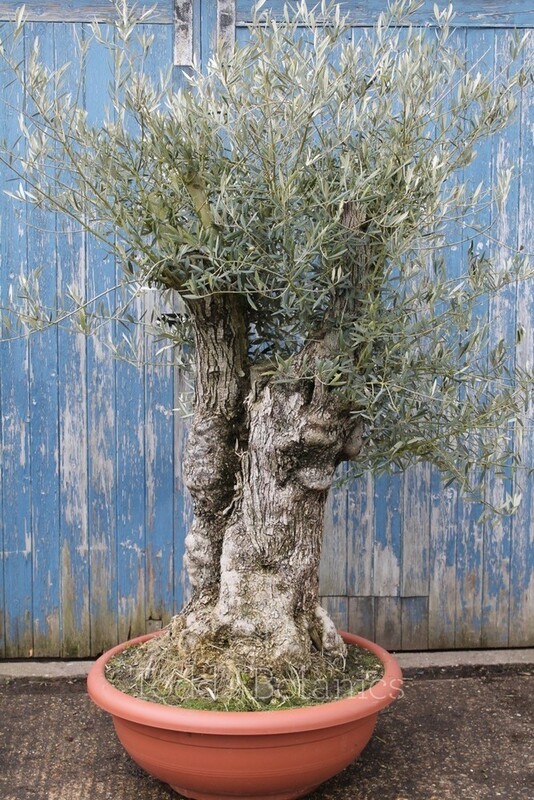 Our beautiful old olive trees are all hand-sourced from the mountainous regions of Valencia, meaning they are very used to a cold environment, with larger varieties able to withstand temperatures to -15c. 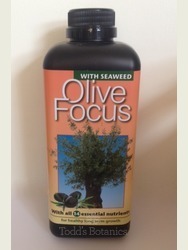 Olive trees are immediately reminiscent of the mediterranean. 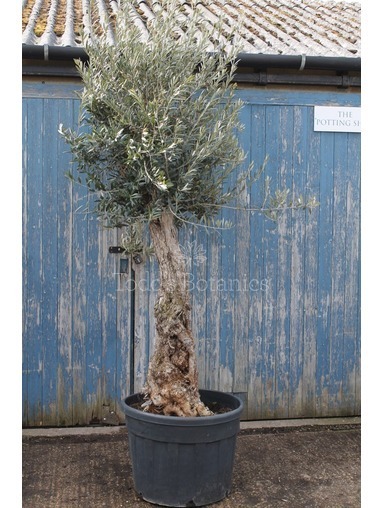 Their features include evergreen pale grey-green foliage and tiny fragrant, cream flowers followed by olives in the summer months. 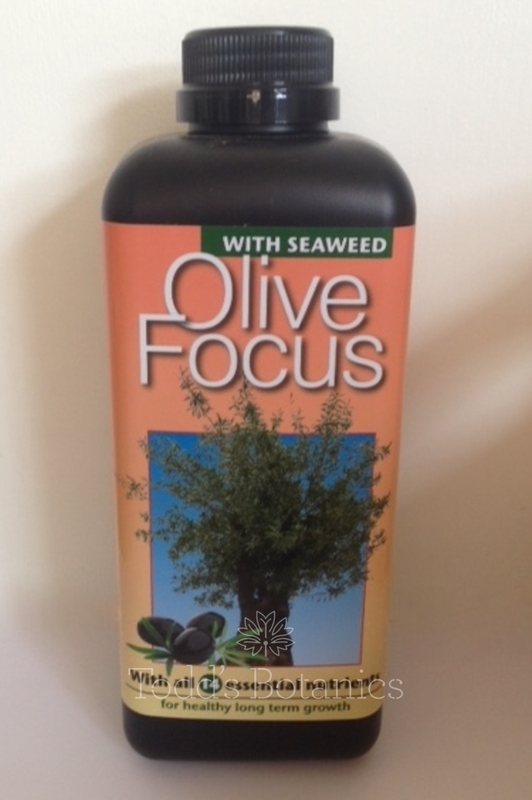 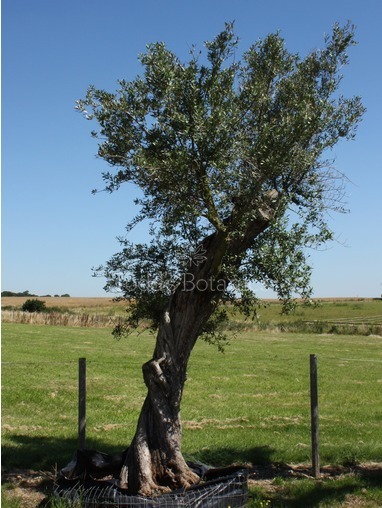 The olive tree thrives in full sun, prefers free-draining soil and can cope very well with the wind! 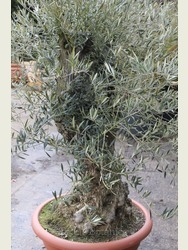 For more information on olive tree winter care, feeding, pruning and watering read our detailed olive tree care notes. 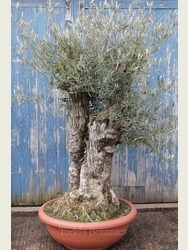 We include a printed copy of the care notes with each order. 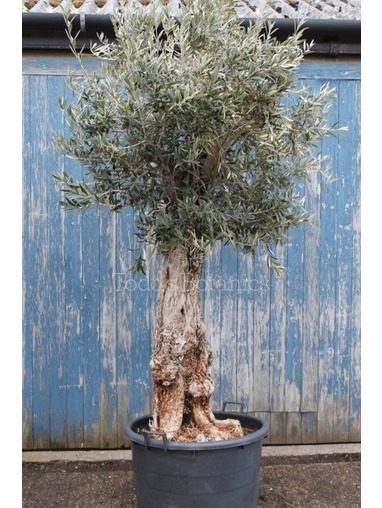 This Olive tree carries a delivery surcharge of £50 which will be added at checkout. 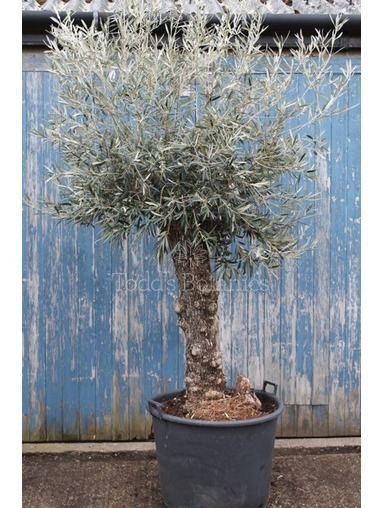 If you need to find a planter or pot for your Olive Tree we recommend http://www.vasotoscano.com/ for beautiful, stylish frostproof terracotta pots.